The 2inOne can be utilised on any surface as only the recessed area of the vaporizer emits heat, while the body remains cool to the touch at all times even when in use and electrical power is turned on. The Vaporizer is also designed to operate safely when unattended for prolonged periods with or with our essential oils, making it ideal for any location or environment. Simply plug in to a standard electrical outlet and allow 15 minutes to reach full operating temperature. Then simply add your favourite essential oil/blend or wax melt tart to the bowl, as recommended below. Do not add or use water, as it is not necessary. 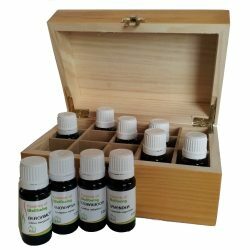 – Add 8-10 drops of your favourite essential oil or blend to the recessed bowl and enjoy the aroma. – Use only pure essential oils or essential oil blends. Do not use fragrance oils or essential oils that have been diluted in a carrier oil. – Remove all labels and packaging from the Soy Wax Melts before use. Then add your favourite Soy Wax Melt or tart to the bowl. – Do not over fill the bowl. – Note – The dissolving time of individual wax melts will and can vary with different products. Best used with pure soy melts due to the safe low operating temperature.